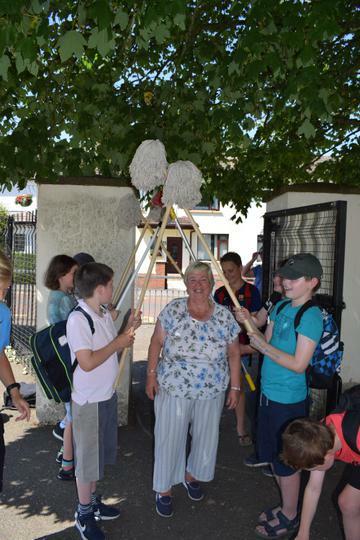 On Friday we said goodbye to our perfect prefects (most of the time) and our school caretaker of 35 years, Mrs Ann McLoughlin. 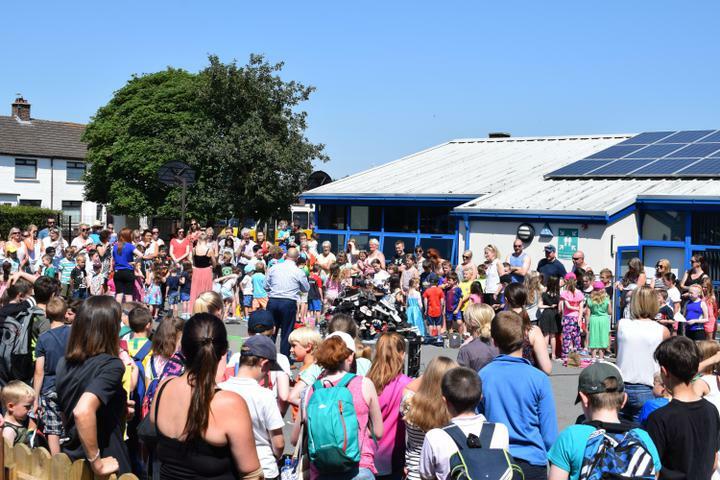 Normally we finish the year with a balloon release, but in keeping with our ECO School status, we decided that this event was no longer environmentally friendly. 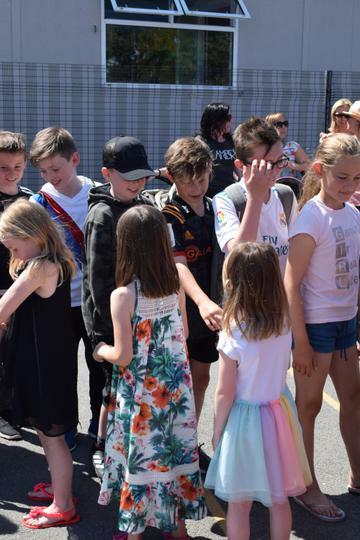 Instead, we completed the UNICEF ShoeShare drop off and a friendship circle, where the senior school formed an outer circle and the younger pupils formed an inner circle, with the seniors facing in and the juniors facing out. 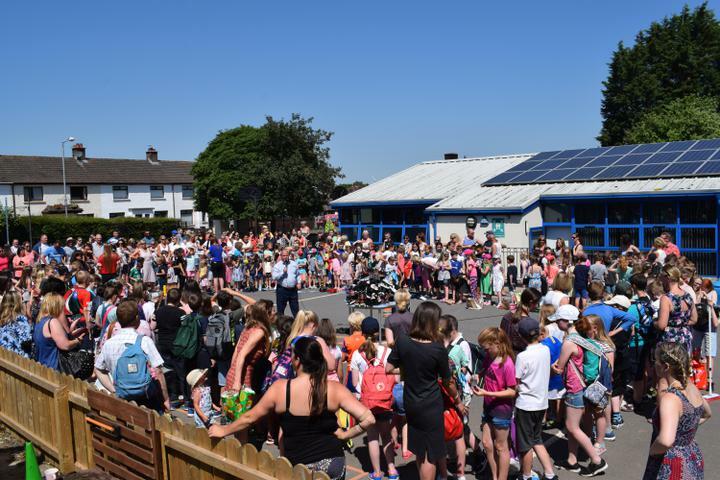 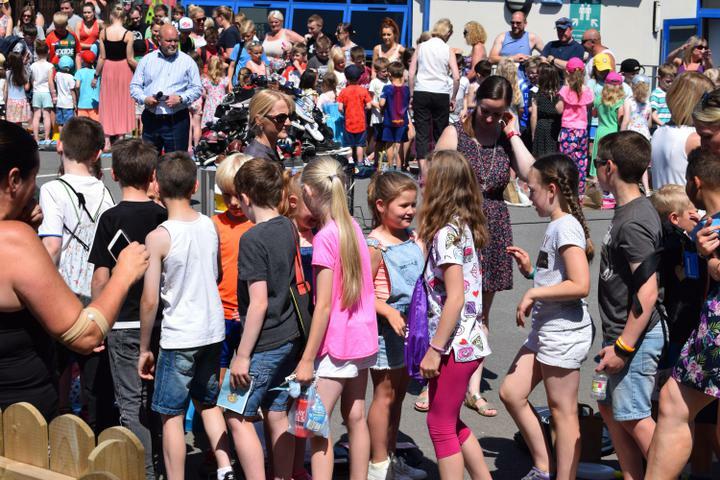 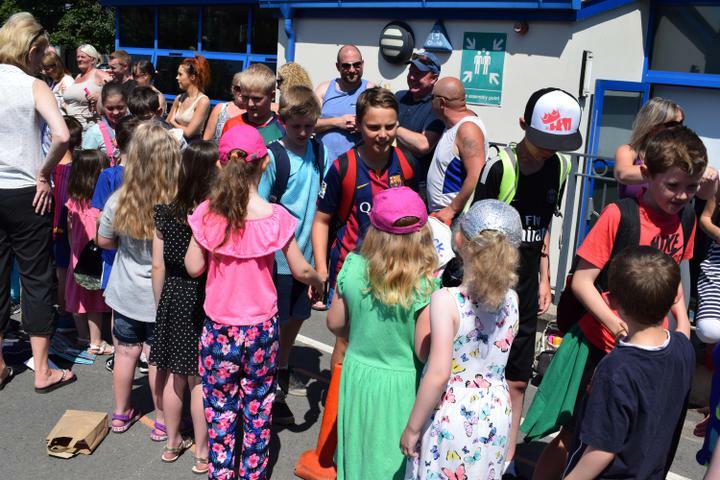 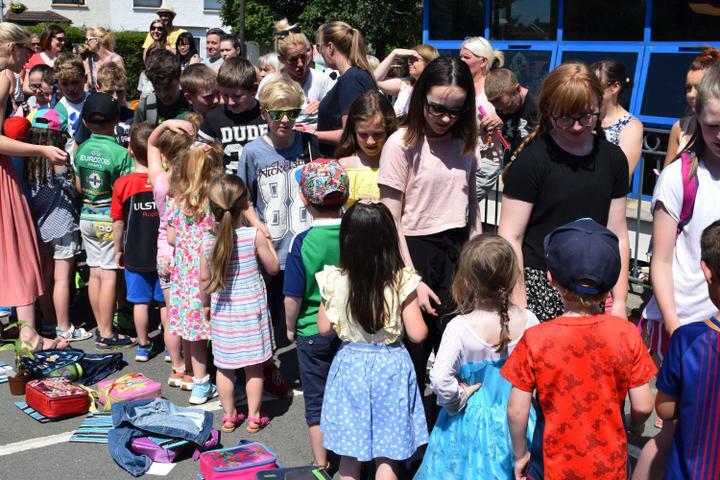 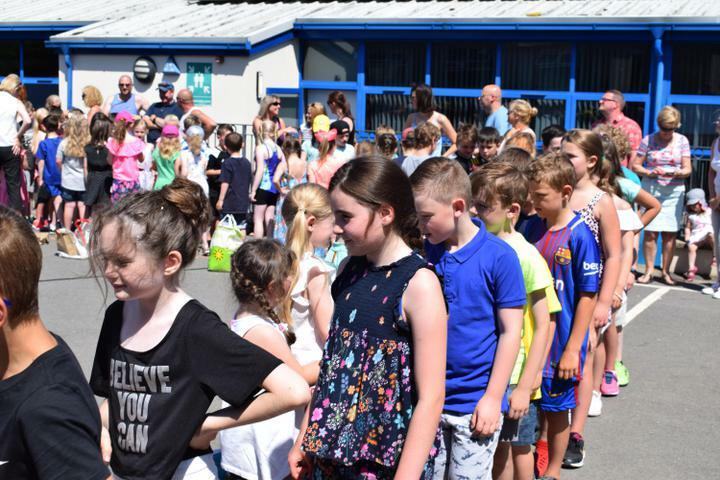 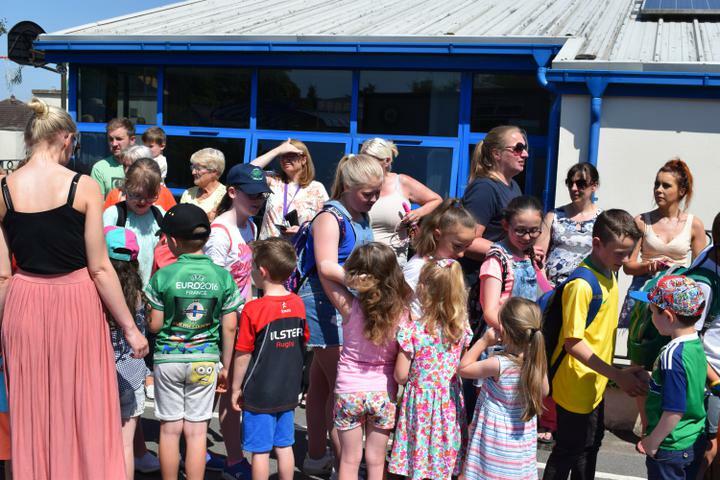 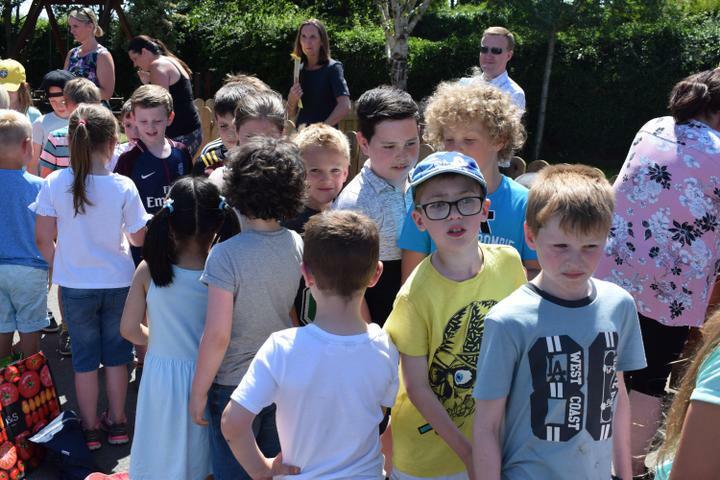 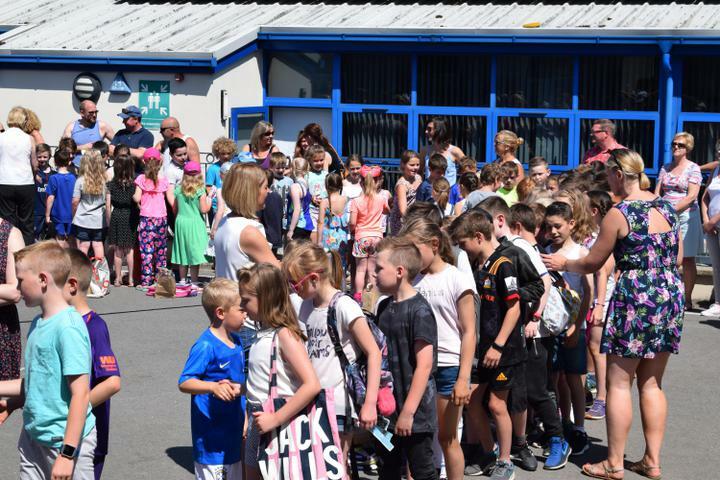 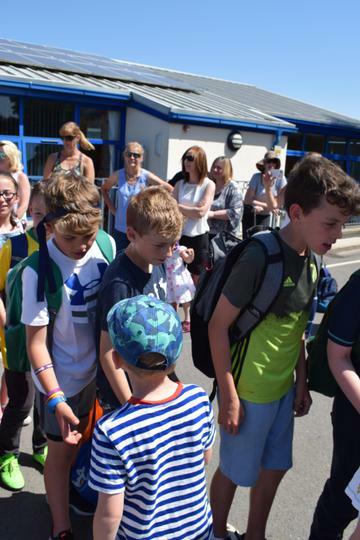 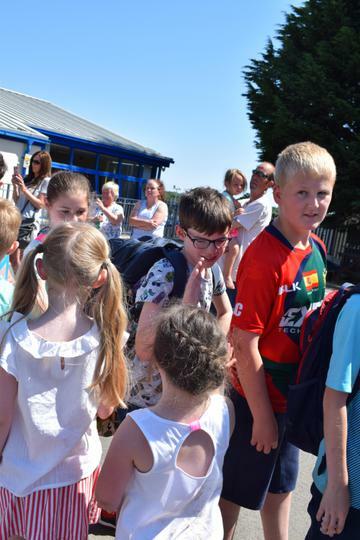 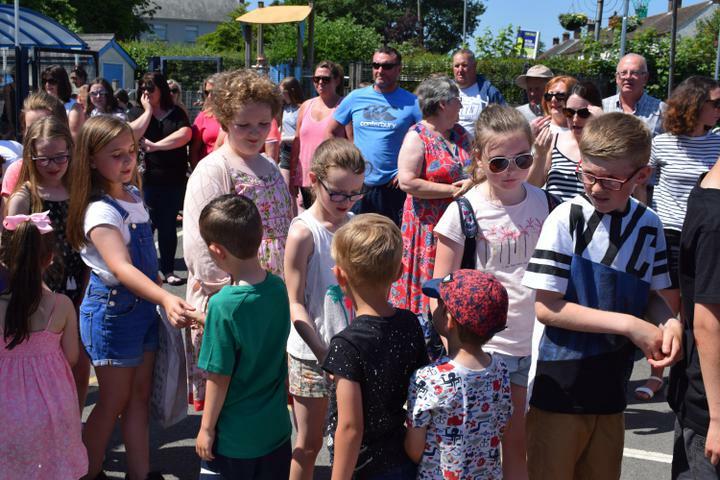 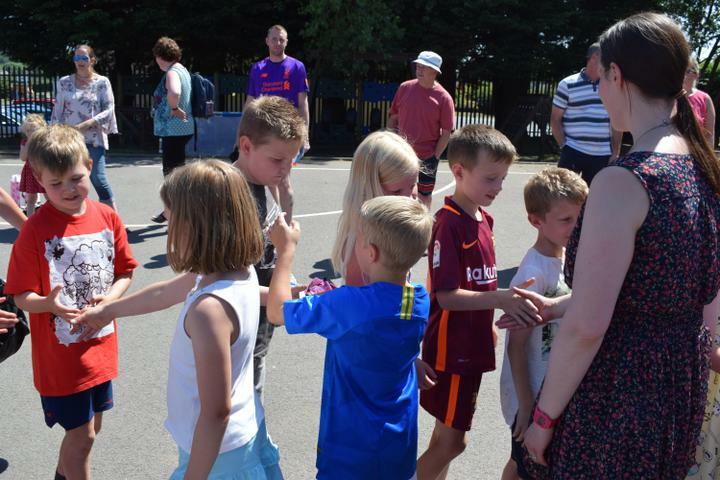 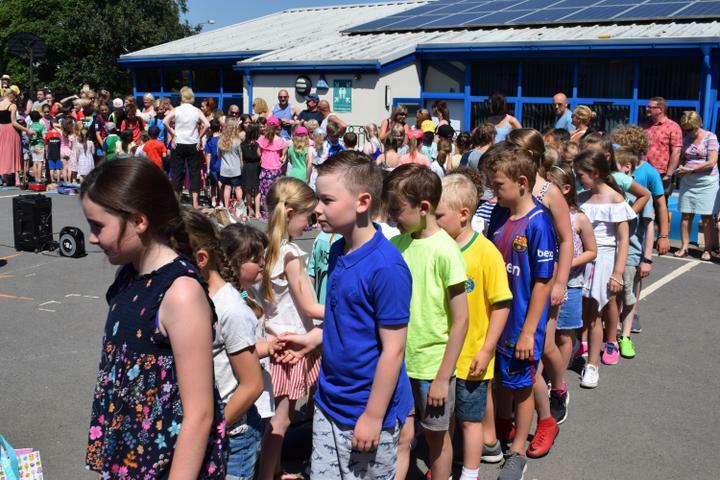 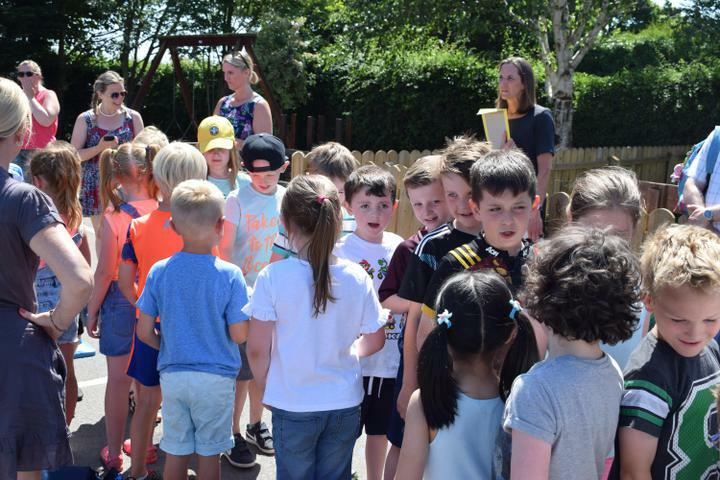 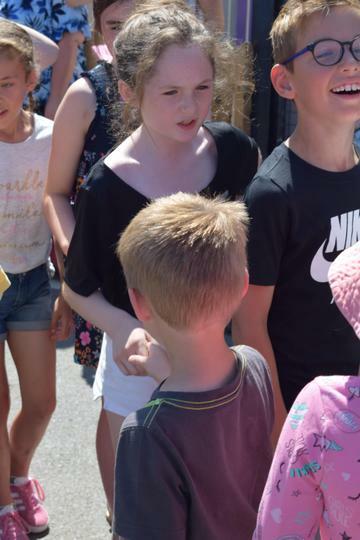 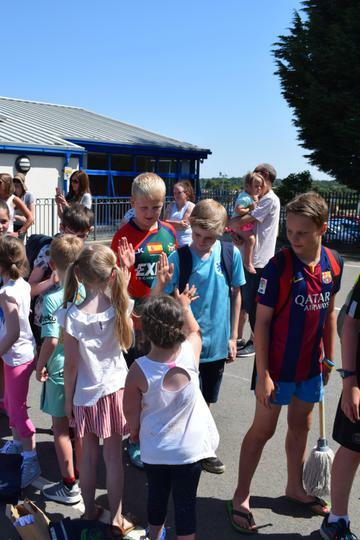 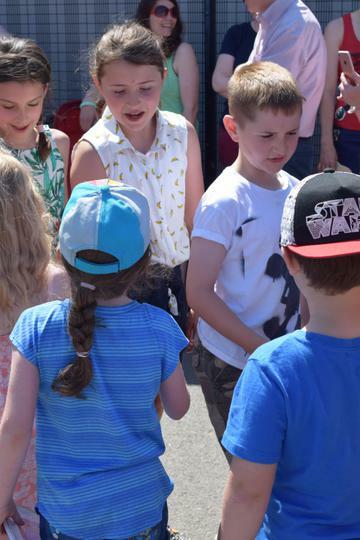 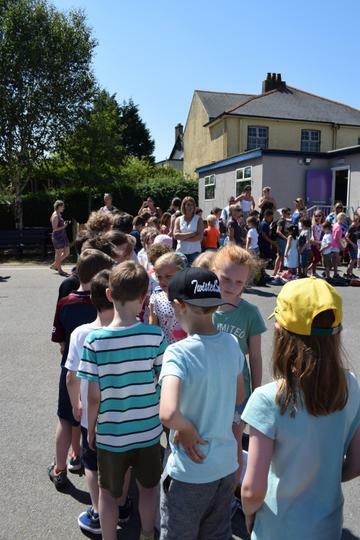 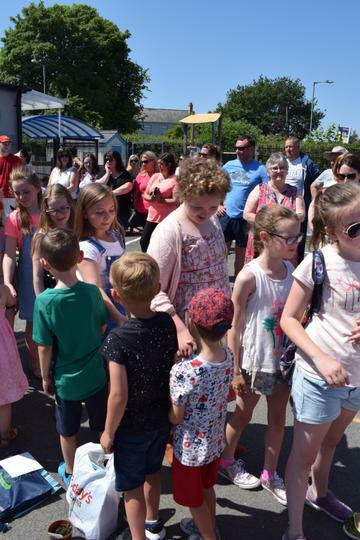 The senior pupils then walked in a clockwise direction around the junior circle shaking hands with all the younger children as they completed their friendship lap. 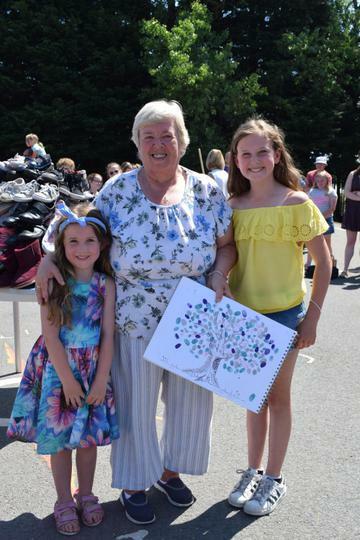 Ann then received a presentation of a tree made up of the children's fingerprints, before the children sang Annie's song one last time. 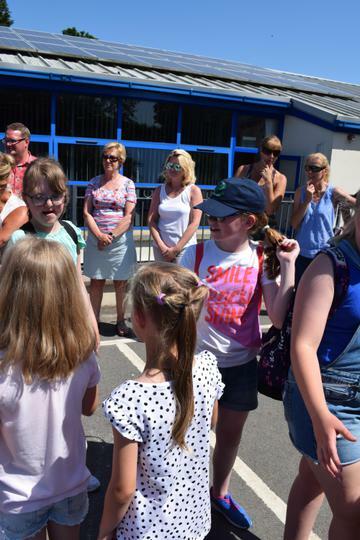 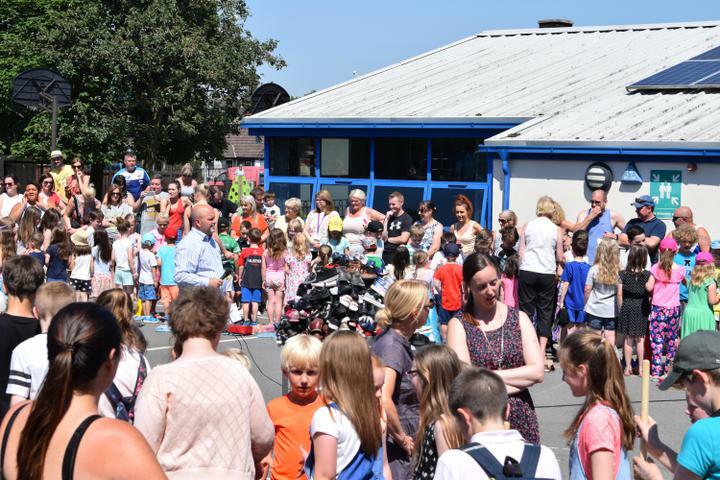 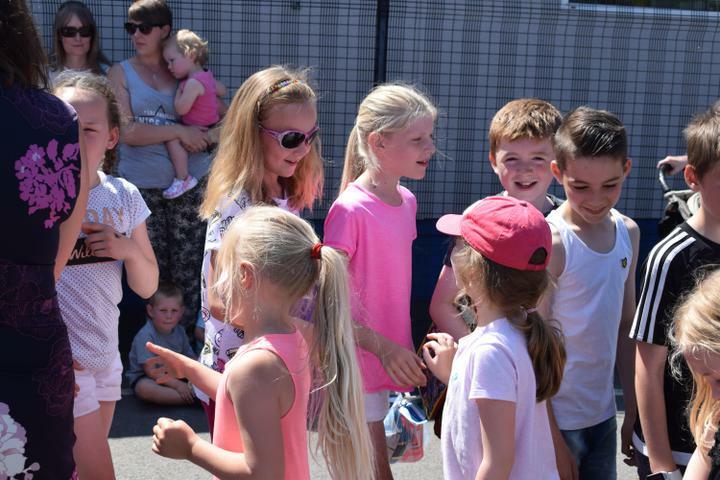 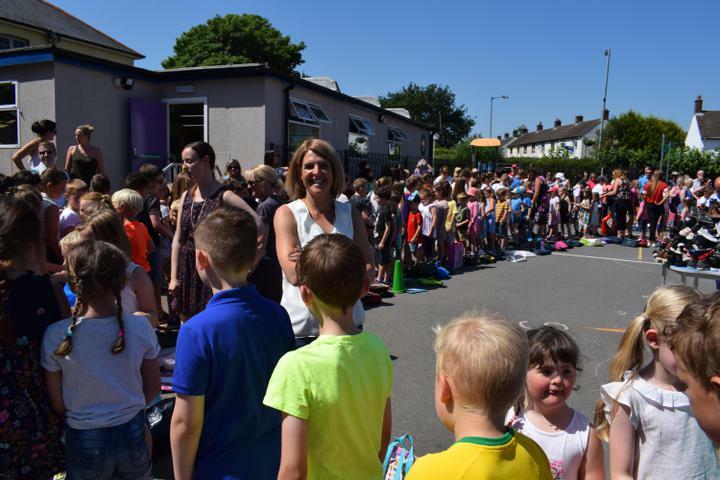 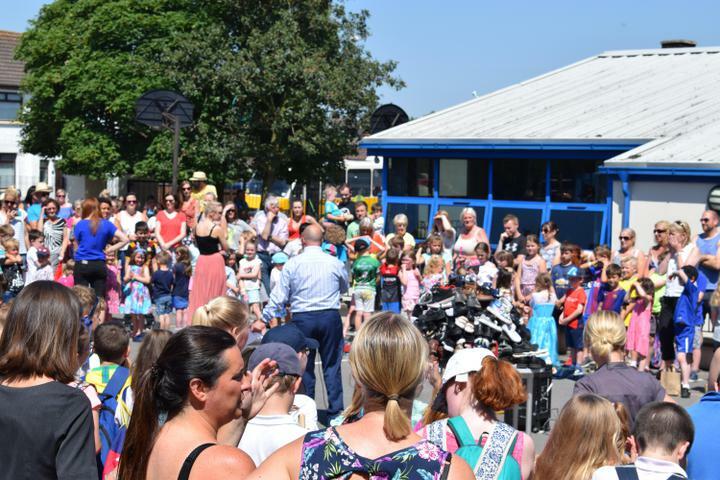 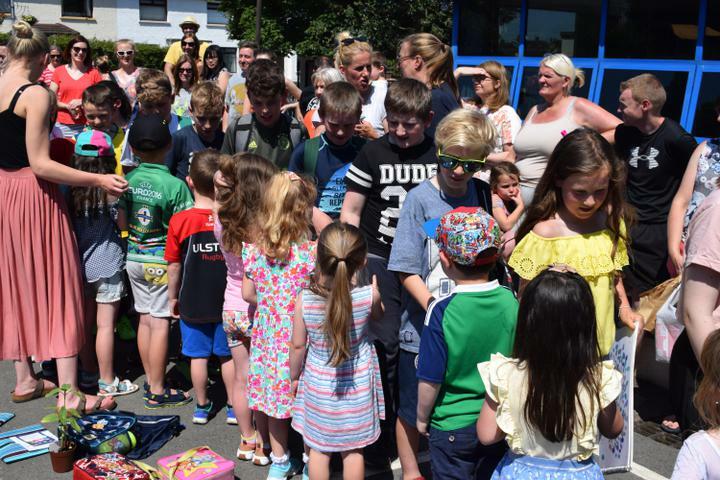 Ann then headed off through an archway of mops and brushes to the school gates, where she was able to chat to parents and pupils as they left for the summer. 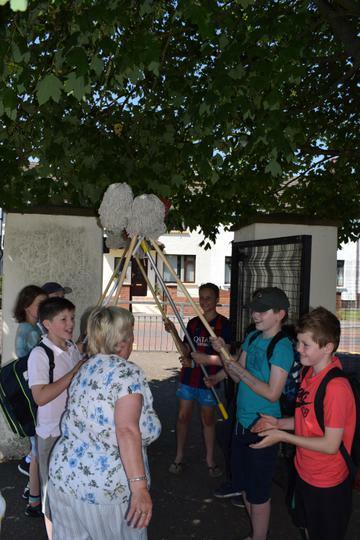 A fitting end to Ann's career and a novel way to conclude another chapter at Moneyrea. 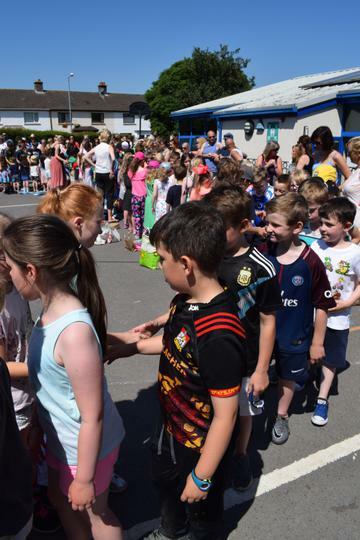 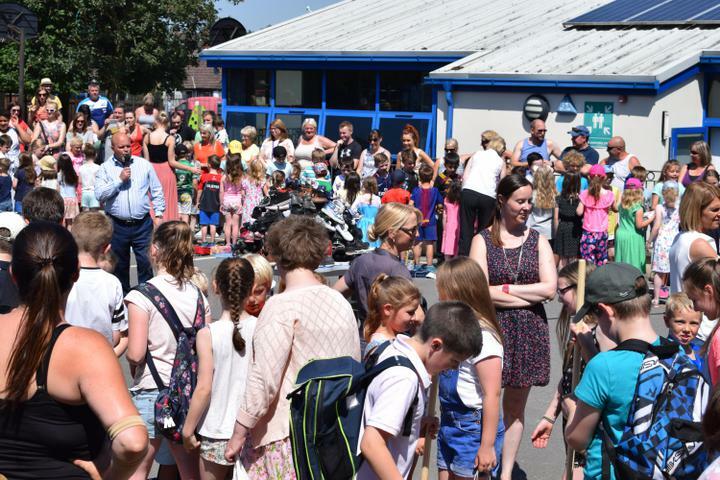 Thank you to all our families who supported and encouraged us throughout the year and our amazing staff team at Moneyrea Primary and Nursery School, who make our wee school a special place.